Facebook submitted two different sets of answers to the written questions that the senate had sought after Mark Zuckerberg appeared for a testimony before the US Congress in April this year. 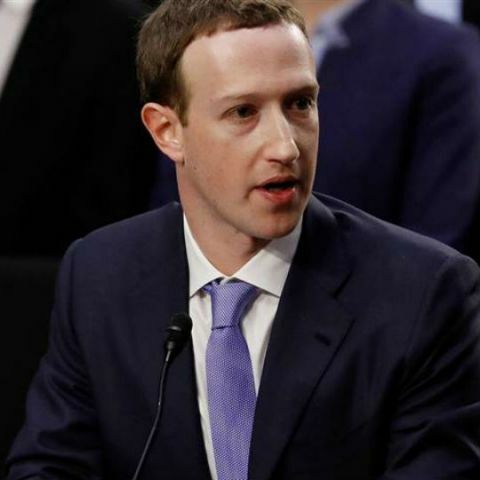 Two months after Facebook CEO Mark Zuckerberg testified before the US Congress on the Russian interference during the 2016 US presidential election, fake news and censorship of conservative media on the platform, the company has responded to the written questions presented by senators. Facebook's answers cover several issues including, data and information privacy, shadow profiles, the Cambridge Analytica scandal and advertisement targeting. Facebook submitted two different set of answers -- a 225-page document to Chuck Grassley of the US Senate Committee on the Judiciary and a 229-page PDF to John Thune of the Senate Committee on Commerce, Science, and Transportation -- with a cautious approach in its responses. One of the most talked about issues was related to “Shadow Profiles”. Gabriel Weinberg, CEO and Founder of DuckDuckGo, an internet privacy company, had accused Facebook that it uses trackers to create “Shadow Profiles” even of non-Facebook users based on their browsing history. To this, Facebook responded by saying that it does not create databases on non-users by combining web-browsing history with uploaded contacts. "We do not create profiles for non-Facebook users nor do we use browser and app logs for non-Facebook users to show targeted ads from our advertisers to them or otherwise seek to personalize the content they see," the company said. On a query, whether it tracks “every IP address ever used when logging into Facebook,” the company provided details about a data retention schedule. “When people visit apps or websites that feature our technologies—like the Facebook Like or Comment button—our servers automatically log (i) standard browser or app records of the fact that a particular device or user visited the website or app (this connection to Facebook’s servers occurs automatically when a person visits a website or app that contains our technologies, such as a Like button, and is an inherent function of Internet design); and (ii) any additional information the publisher of the app or website chooses to share with Facebook about the person’s activities on that site (such as the fact that a purchase was made on the site),” the company said. On the type of data that the company stores, Facebook said that it automatically logs IP addresses of the networks from where a user has logged into their Facebook account. It clarified that users can download a list of IP addresses where they have logged into their Facebook accounts and other information associated with their Facebook accounts through the “Download Your Information” tool. Also, Facebook said that it tracks “operations and behaviors” on devices, including “whether a window is foregrounded or backgrounded, or mouse movements (which can help distinguish humans from bots).” Device signals, settings, and “unique identifiers” are also tracked. The social media giant mentioned DailyMotion, Snapchat, YouTube, among other services for photos or videos; Apple’s iMessage, Telegram, Skype, Line, Viber, WeChat, Snapchat and LinkedIn -- as well as the traditional text messaging services on mobile phones for messaging; and Spotify, Twitter, Google, YouTube and Amazon for advertising as its competitors. On a question about its actions after The Guardian exposed the Cambridge Analytica scandal, Facebook said it contacted the firm asking questions about the data and the British company assured it that the data was deleted. Facebook also mentioned the steps its has taken to secure its users’ data after the controversy. Facebook’s replies came a week after a report claimed that the company had shared data with four Chinese smartphone manufacturers. Later the social media giant accepted it had shared data with Huawei, Lenovo, Oppo and TCL.